When I was first introduced to make-up in middle school, my motto was the more I could wear, the better. I would cake my face with every product I could get my hands on with the idea that I would magically look like a new person. As I have gotten older and my skin has changed a bit, I have come to realize that less truly is more. I am all about the natural look and accomplishing that fresh faced look is surprisingly a lot easier than you might think. For me its really about 4 key steps, and I can typically achieve my desired look in less than 5 minutes. Step 1 – EXFOLIATE. Honestly the easiest way to clean, vibrant looking skin is to wash and exfoliate. If you have more sensitive skin, keep this to a max of 3 times a week…if you have more durable skin like I, you can do this every day. I love exfoliating when I wake up, I feel like I am setting my skin up for success! My favorite for daily use is from Cosmedix. I use their Purity Detox Scrub combined with my Mario Badescu Foaming Cleanser to really get my face squeaky clean and soft. Step 2 – Moisturize. Also very, VERY important. You should be moisturizing twice daily – your skin needs loving too! In the AM I love using the Pure Cloud Cream from Skyn Iceland. I find this to be the perfect moisturizer to use pre-make up as it is super light yet hydrating at the same time. The last thing you want is a thick moisturizer before you layer on foundation, powder, bronzer…you get the picture. Step 3 – Foundation. I am not a big concealer user, so I am going to skip right to foundation. If you want to use concealer, just dab some on and rub it in prior to this step! I have been using PUR Minerals Air Perfection CC Cushion Foundation for almost a year now and I will never look back from it. Packed with SPF protection, minerals and antioxidants – this foundation gives you great coverage while treating your skin. The mineral water base gives me a lovely dewy finish and it is easily applied with the cushion pad given with it. Honestly I have tried a lot of different foundations but have never loved the results as much as I do with this one – plus its easy enough for everyday use! No more spending 15 minutes blending your foundation to the right shade on your face, just slide and go with Air Perfection. It comes in 4 colors, I use medium as it pairs perfectly with my skin tone. Step 4 : Powder. I love using powder right after applying my foundation. I feel like it really seals in the color. 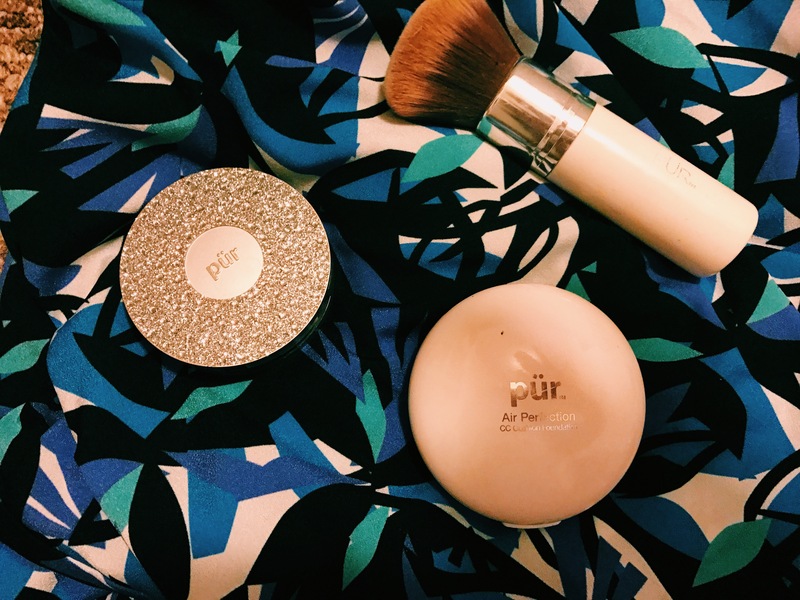 Keeping with the Pur Minerals trend, I have been loving their 4 in 1 Pressed Powder. Packed with minerals and SPF protection, this powder is the perfect partner to its CC Cushion Foundation. Easy to apply and provides long lasting, NATURAL looking coverage. I also would like to note that this product is Gluten Free and Vegan approved! It doesn’t take much to look your best everyday! 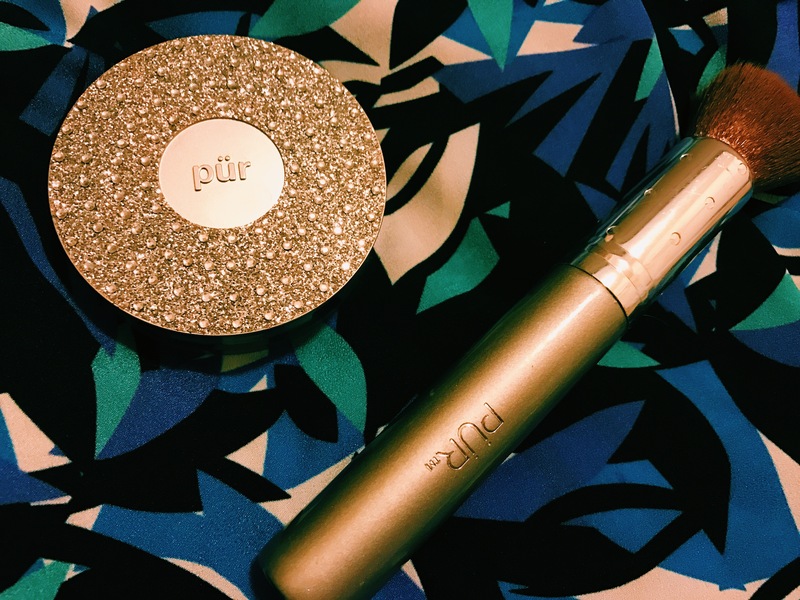 What are some of your go-to beauty routines?